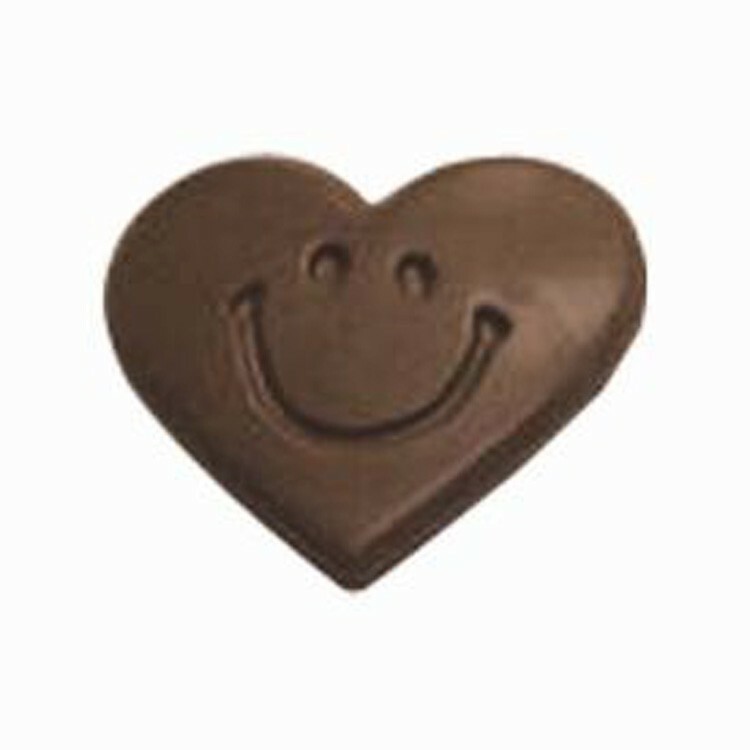 Custom molded solid chocolate candy heart with smiley happy face, foil wrapped with imprinted label applied to foil. Product also available in cello bag tied with ribbon for an additional $0.86 (R). Makes a great food gift or valentine''s day holiday promotional giveaway.